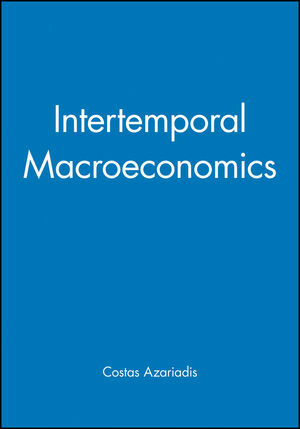 Intertemporal Macroeconomics is the first text to offer a unified and systematic exposition of the key issues, both traditional and new, in dynamic macroeconomics. Based on neoclassical growth theory, the book is designed for graduate and advanced undergraduate students in macroeconomics and finance. Costas Azariadis is Professor of Economics at the University of Pennsylvania. He began his academic career in Athens where he completed his undergraduate work in engineering. His graduate studies in Economics were undertaken at Carnegie-Mellon University and he was then appointed Assistant Professor of Economics at Brown University. He gained his present position in 1977 and he has also held visiting appointments at Hebrew University, Princeton, Montreal, IMPA and UCLA. His research interests include unemployment, multiple equilibria and growth theory and he has been widely published in leading American and European journals.